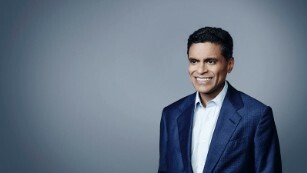 AMERICA’S POISONED POLITICIZED PATH | "Global Possibilities"
Fareed Zakaria is host of CNN’s “Fareed Zakaria GPS,” which airs Sundays at 10 a.m. and 1 p.m. ET on CNN. The views expressed are his own. (CNN) There are so few details provided by FBI Director James Comey that it is impossible to know what to make of his decision to inform Congress about new emails relating to Hillary Clinton’s server. The timing is unfortunate, since Justice Department guidelines expressly advise its officers to be careful not to do anything through action or announcement that could interfere with elections or the democratic process. It also raises a larger issue. The United States has gone too far down the road of criminalizing public policy. When your opponents do something wrong, even profoundly wrong, in politics, it is often best to treat it for what it is — bad judgment, bad policy, bad ethics — and make the case to the electorate to hold those people accountable. It should not be standard practice to instantly begin searching for ways to treat that behavior as criminal. This has been a bipartisan problem. When Democrats controlled the legislature under the Reagan administration, they turned the Iran-Contra affair into a legal matter, which resulted in the appointment of an independent counsel, years of inquiries, and bitter partisan divisions. Then came the Clinton years, when this zeal exploded. The investigations of Bill Clinton consumed public attention, cost tens of millions of dollars, and resulted in an impeachment that was totally unrelated to the alleged original offense, Whitewater, on which no charges were ever filed. I realize that in some of these cases, laws were broken or circumvented and people should be held accountable for that. But when you appoint special prosecutors with unlimited mandates and budgets, who inevitably define success as finding a crime, you are changing the basic codes of Anglo Saxon law. The FBI and Justice Department in particular should stand as independent institutions and not be swayed by demands made by partisans of either side. James Comey seems like a fair-minded person, but his decision to provide color commentary on his decision not to indict Clinton, to testify to Congress about it, to send Congress raw FBI data, and now fire off this vague letter are all a break with longstanding practice and established procedures. Not since J. Edgar Hoover has an FBI director positioned himself as a player in the political realm. It does not help Republicans or Democrats to have the FBI at the center of a bitterly fought election. The power to use the state to put someone in jail is an awesome authority; it should not be used in any way that might appear to be partisan. This is why I have always been suspicious of elected attorneys generals, who have the ability to use the police powers of the state to further their political careers. Again, I know that sometimes there are real high crimes and misdemeanors. But that has become an excuse to turn every political divide into a search for a crime. And it has had ruinous effects in American politics. It poisons the public arena and makes politics a life and death affair, where people don’t just want to defeat their opponents but to jail them. It reminds one of third world banana republics, not an advanced democracy. This country is already a third world banana republic thanks to an oligarchy that has made criminal activities legal and legitimate for their own enrichment. Why focus on this elitist kabuki theater when the real destruction of our liberties is happening in North Dakota, in the prosecution of whistleblowers, in our inner cities, etc ad nauseated! The threats of crimes and impeachment also are heavily covered by the media…and has the negative affect of creating a cover that diverts our attention from the government actions that have negatively affected our best interests. Case in point: Martha Steward’s case was constantly aired and written up..while..behind the scenes.reporters were not allowed into the Courtroom to inform us about the Enron crimes..